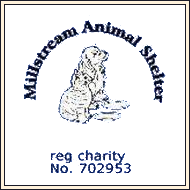 This section is here to try and help adopters of animals from Millstream Animal Shelter or any other shelter by giving suggestions about do's and dont's when you take on a new pet but also when you try to introduce a new pet into your household where there are already some pets. These suggestions are written by people who have successfully introduced cats to one another. We are working with the animals but do not claim that these are the only or even scientifically proven way.